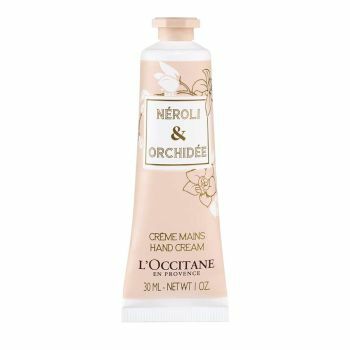 This deliciously smooth cream helps to nourish and protect the hands, while enveloping them in the alluring, endearing scent of a blend of neroli and orchid. The formula is enriched with shea butter, to help repair your hands and give an instant feeling of comfort and softness. This beauty essential slips easily into your handbag, so you can take it wherever you go. Use any time of the day, as often as required. The Néroli & Orchidée fragrance was born from the combination of two flowers: orange blossom, whose tender and eminently floral scent is adored throughout Provence, and white orchid – a flower from a faraway land, yet which complements neroli beautifully.